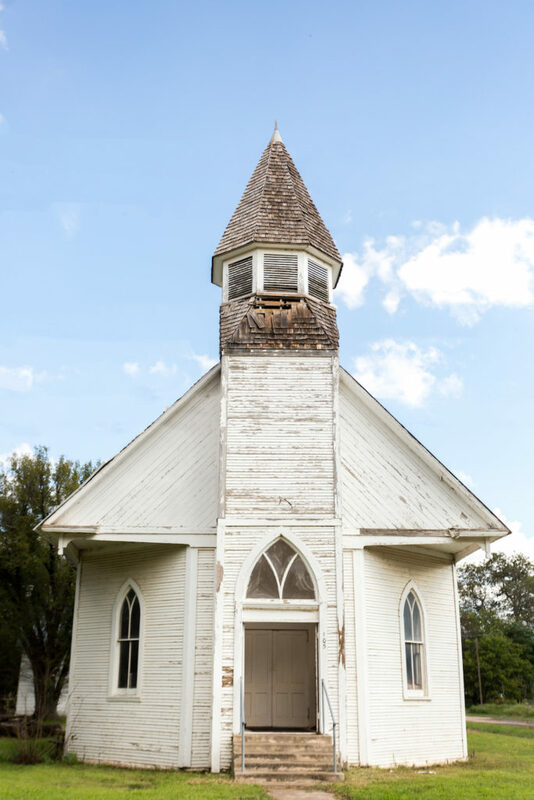 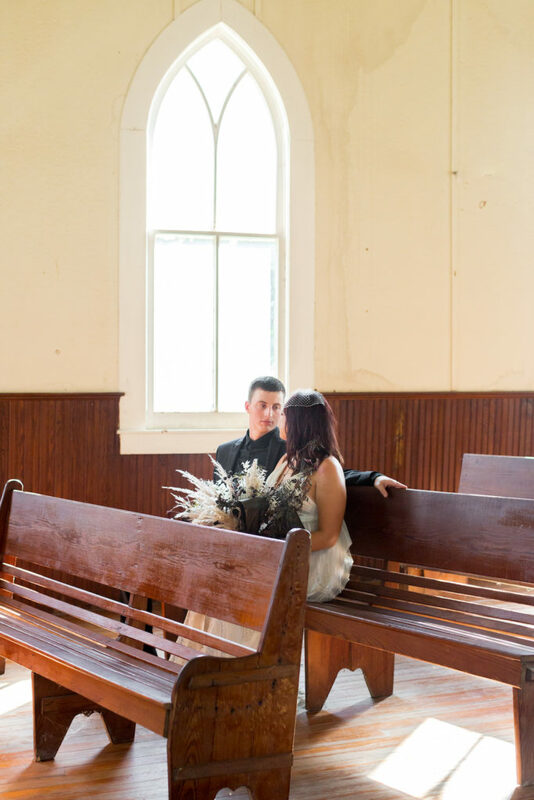 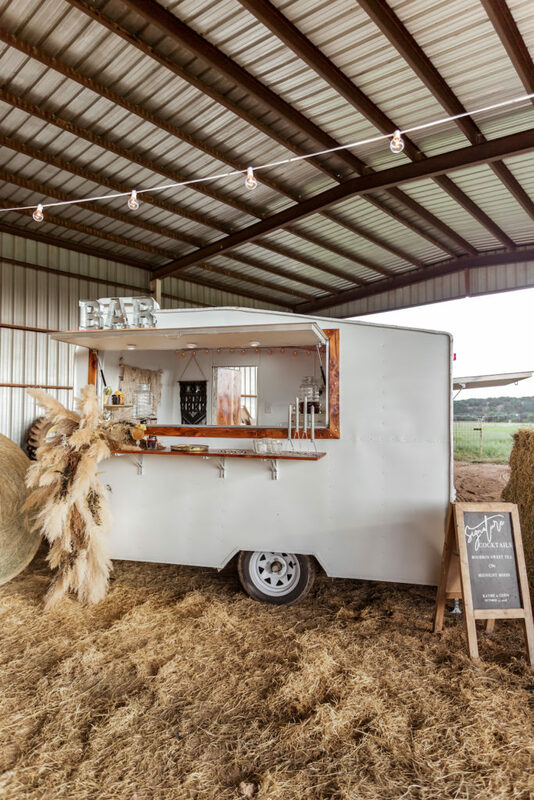 #RENEWEDLOVESTORIES is a passion project for Sugar Creek Event Rentals, and celebrates marriage beyond the wedding. 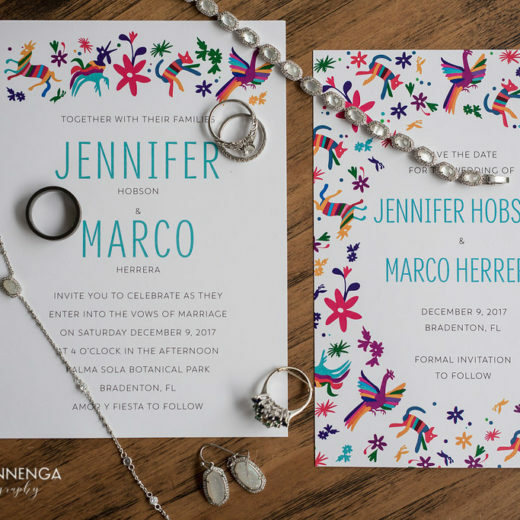 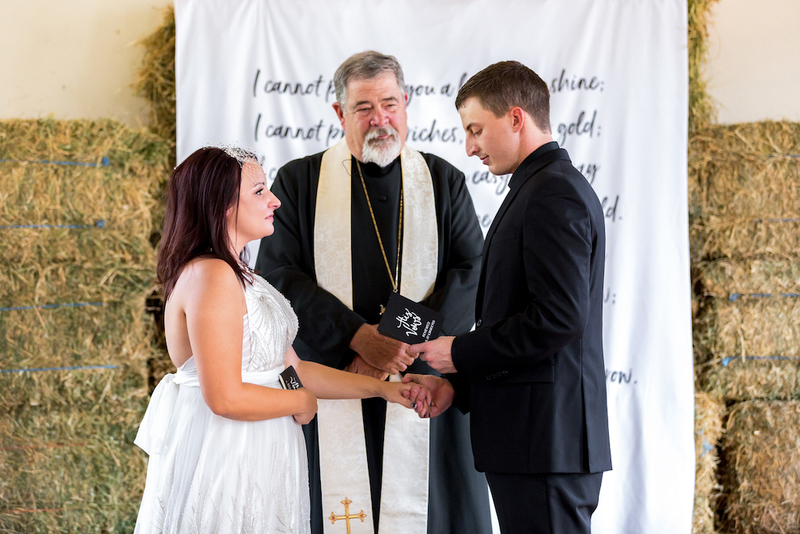 It renews the vows the couple recited on their wedding day and works towards encouraging the foundation of love to continue to grow as the couple continues to grow in their relationship with each other through life’s many ups and downs. 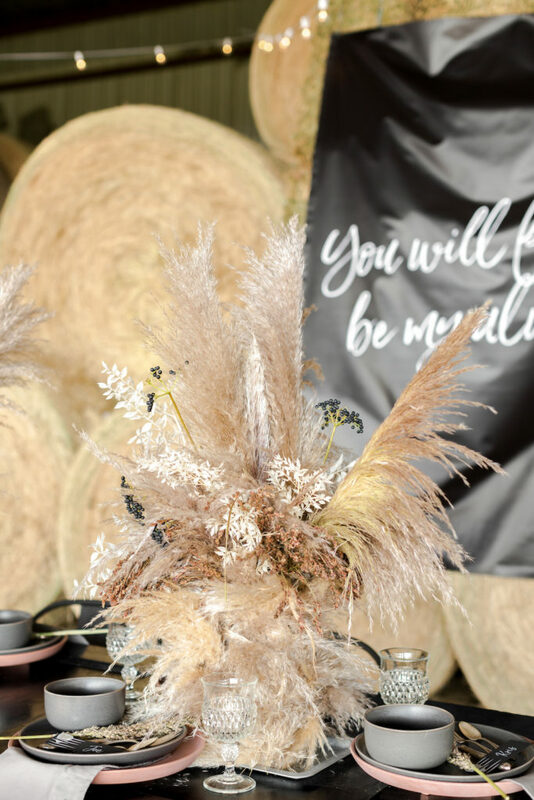 #RENEWEDLOVESTORIES also focuses on giving back to couples who didn’t get the “picture perfect” wedding when they first said their “I-Do’s” to each other. 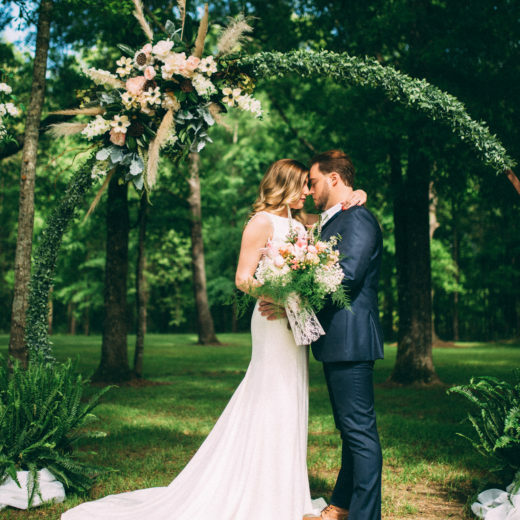 #RENEWEDLOVESTORIES couples (who are selected via a contest) receive a fully designed, intimate vow renewal experience. 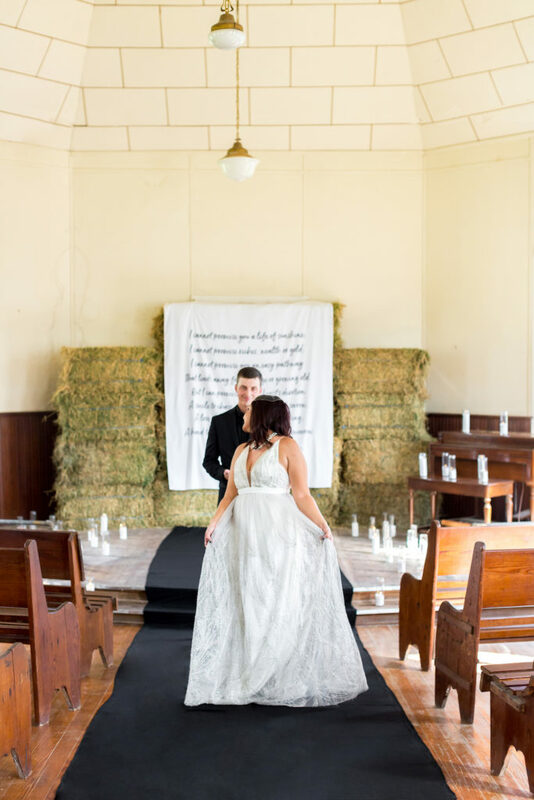 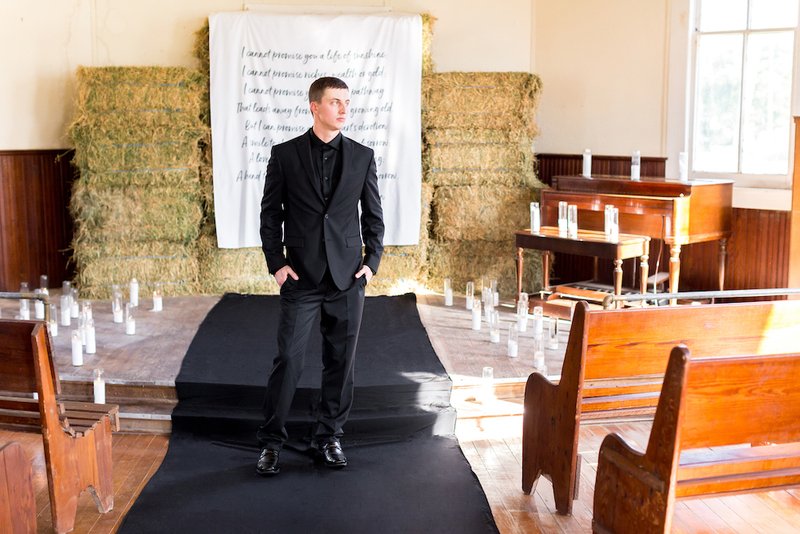 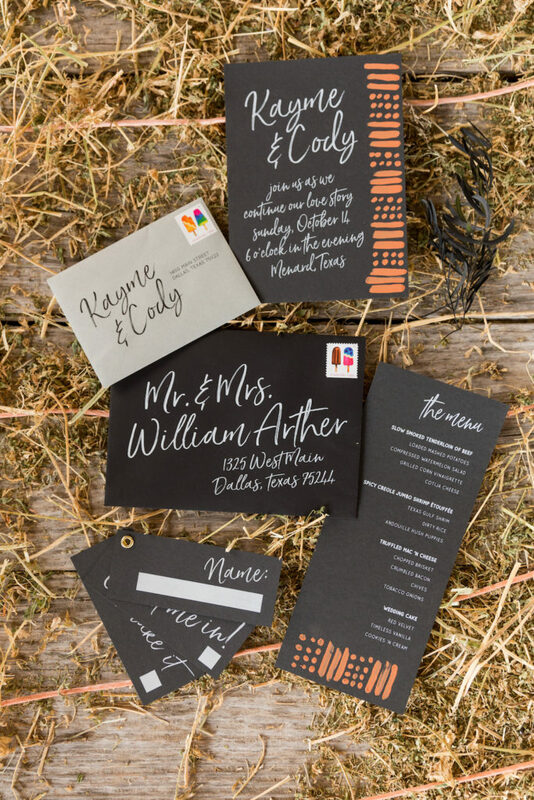 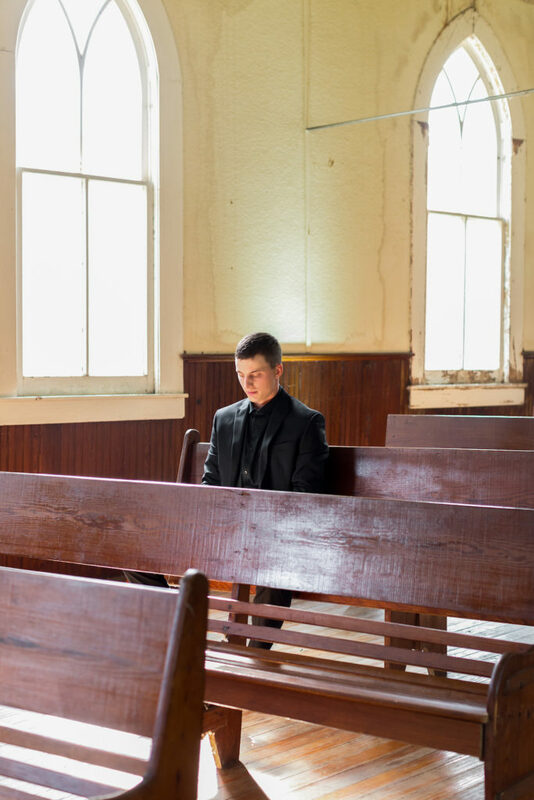 The inspiration for this styled vow renewal was edgy country rock (channeling a little Johnny Cash), hence the all black groom’s ensemble and musical details in the reception design. 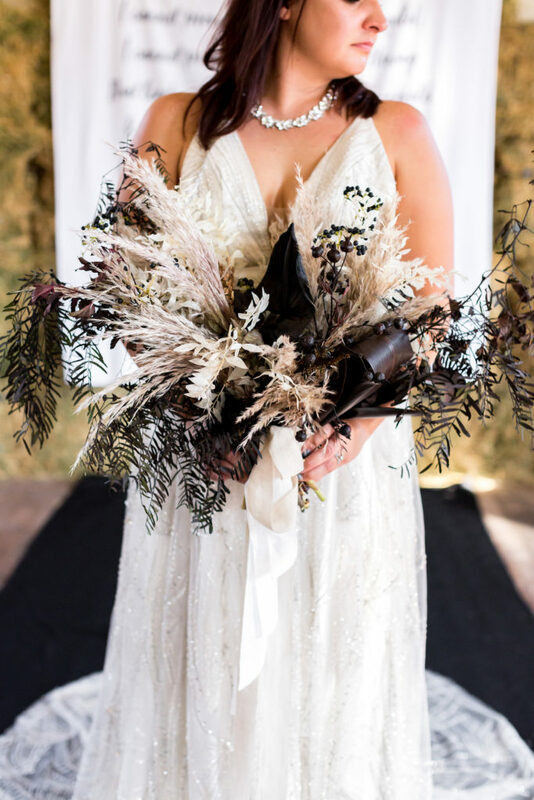 The bride’s bouquet featured pampas grass, blue privett berries, bleached ruscus, anthirium, corn grass and hanging peppermint a look repeated in centerpieces and bar styling. 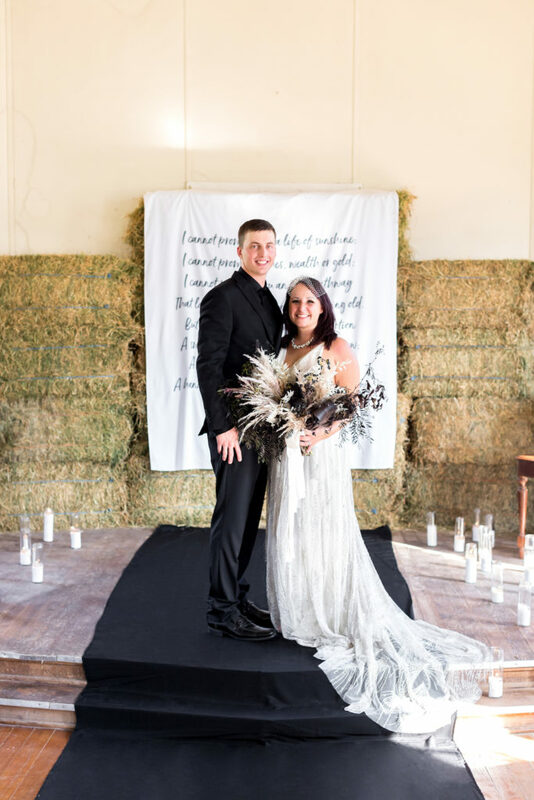 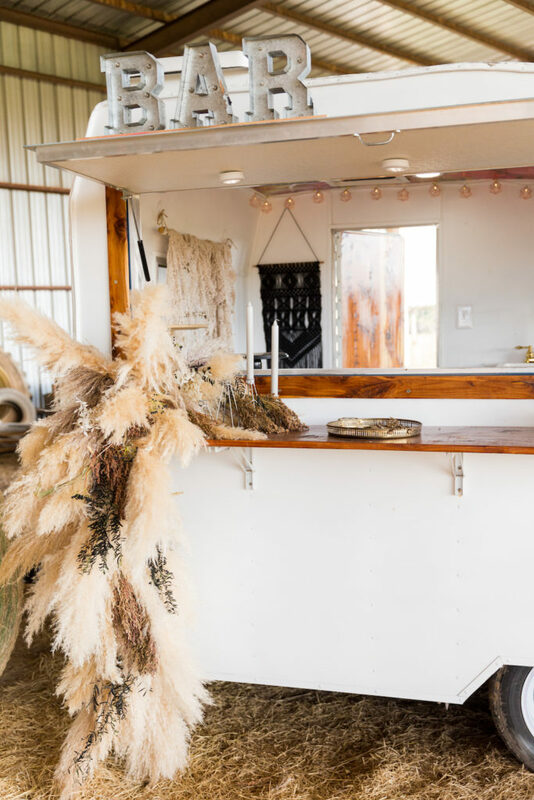 Due to heavy rains, the reception set up had to be moved into a barn which had stacks of hay bales that added to the dried arrangement look. 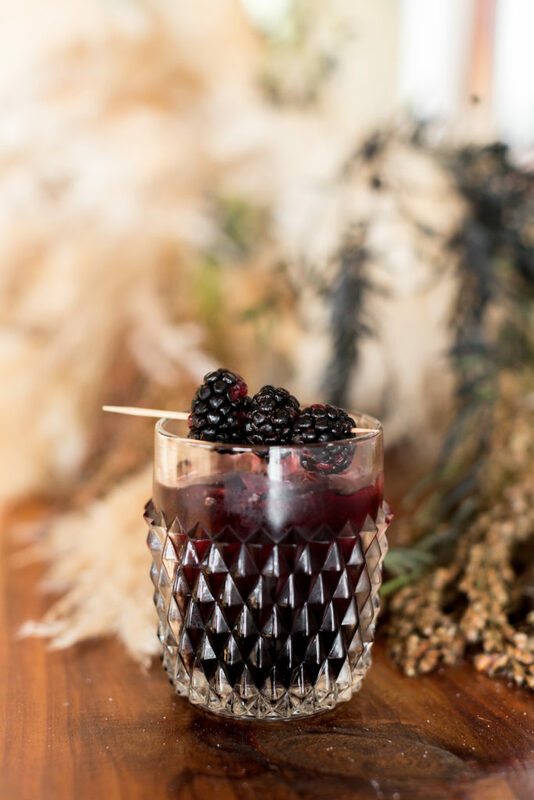 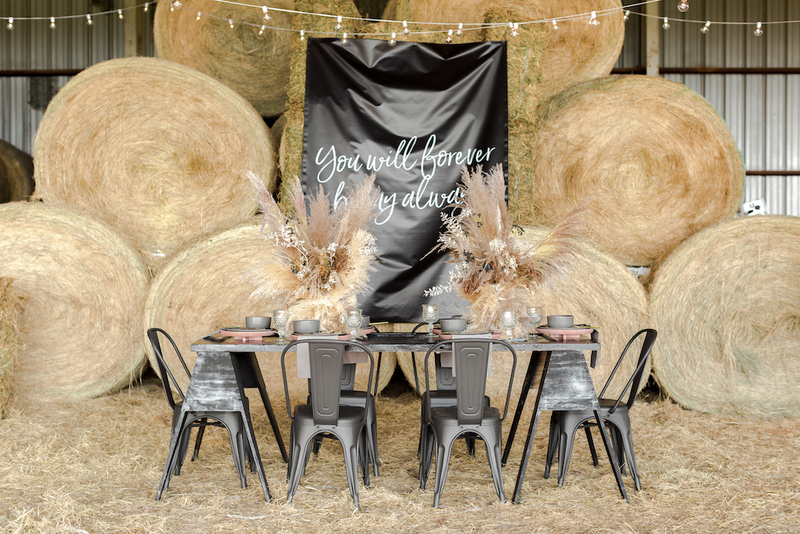 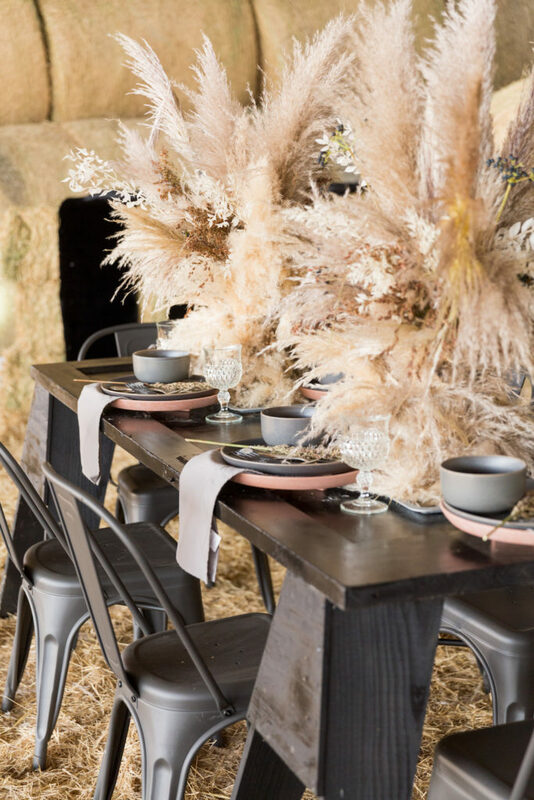 The tablescape was set on a “table” of an all-black vintage door, draped over black saw horses and surrounded with gun-metal gray Tolix chairs. 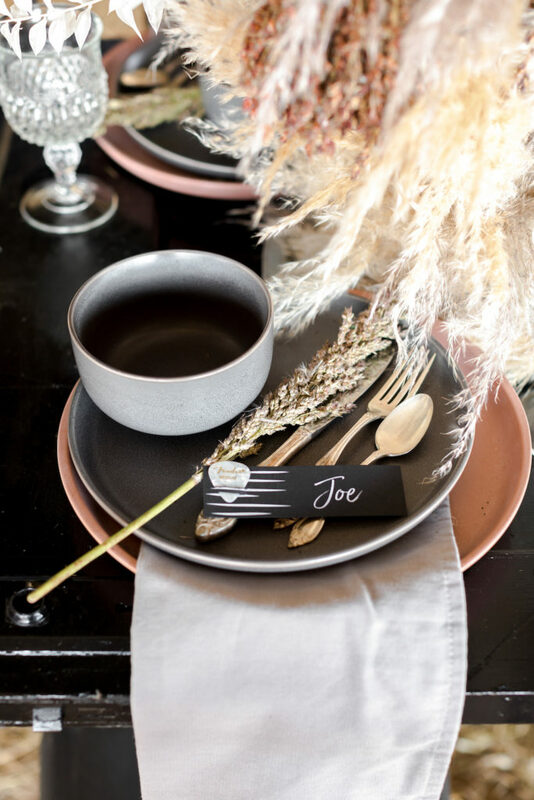 Terracotta chargers anchored the dark gray ceramic plates, bowls, napkins and vintage silverware, and vintage cut glass goblets completed the look. 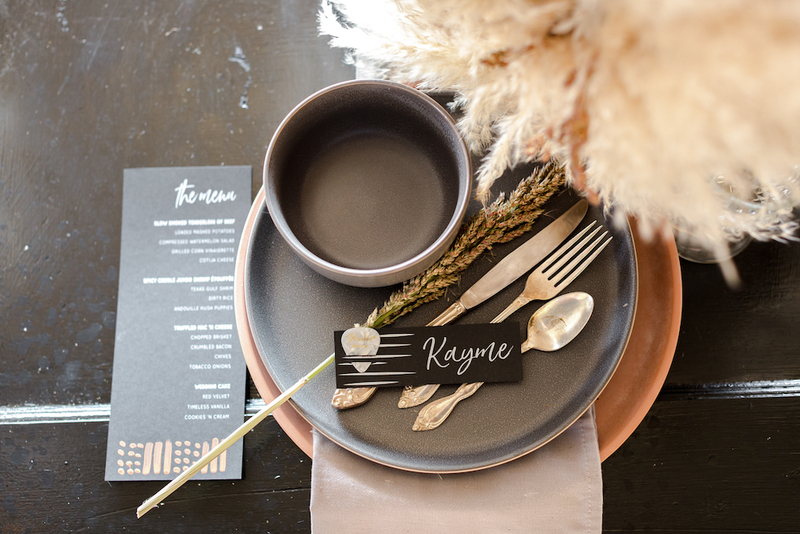 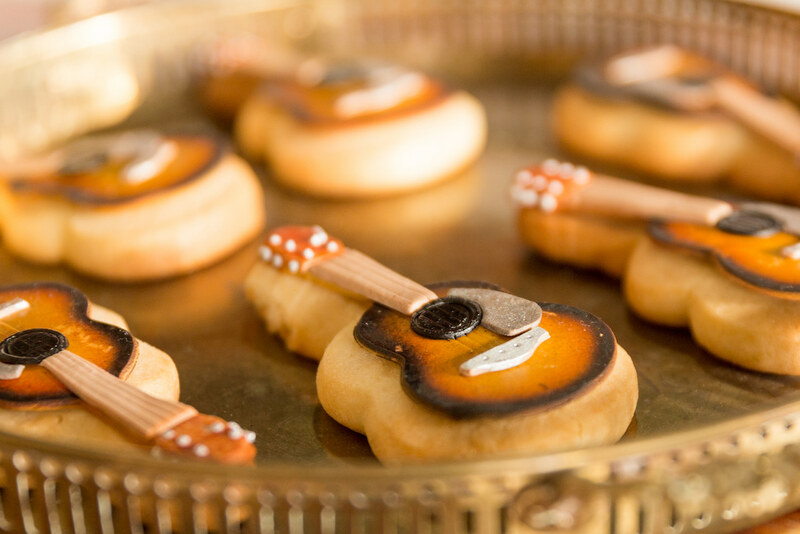 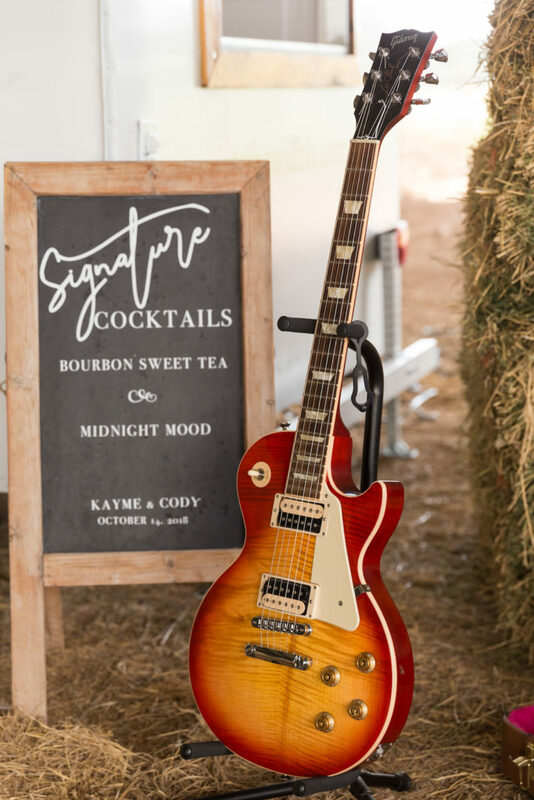 Name cards featured a Fender Guitar Pick and the guest’s name. 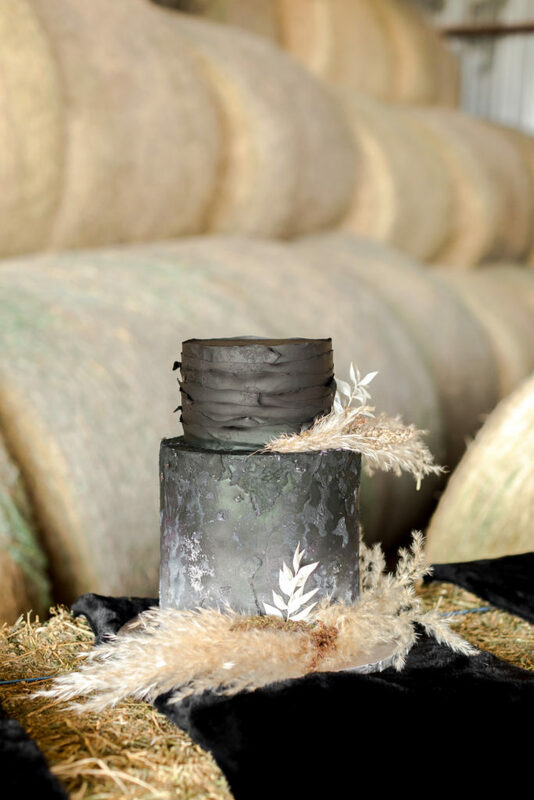 The two-tiered, black textured cake was accented with pampas grass was the perfect touch for this cool design. 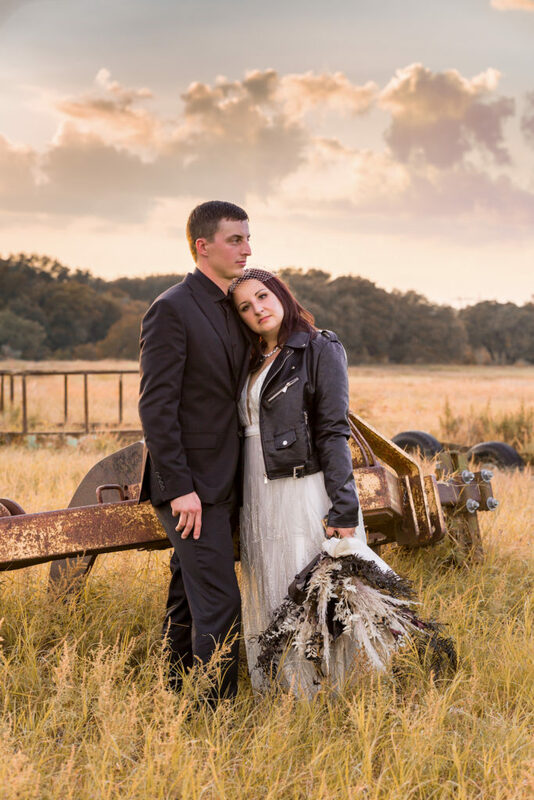 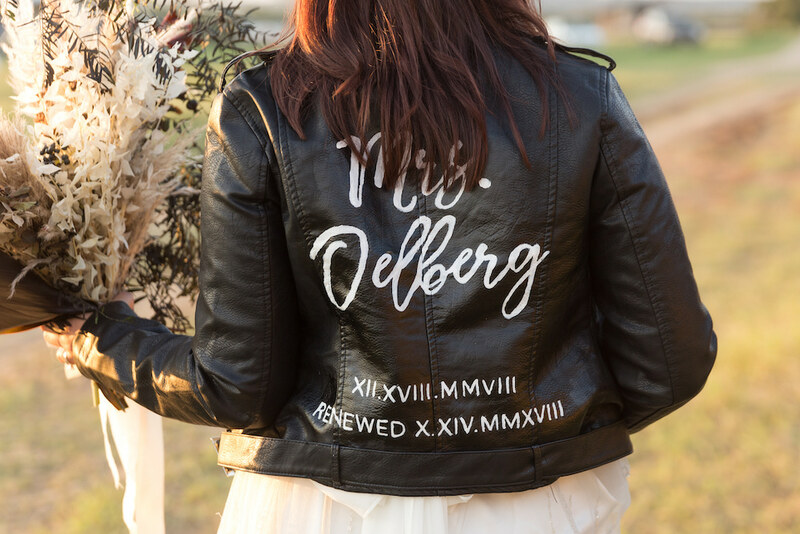 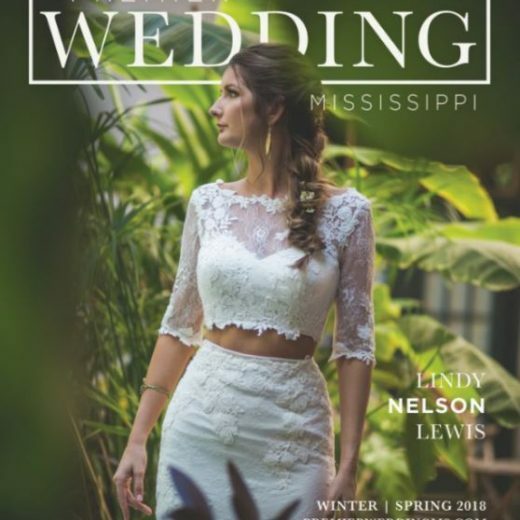 The bride’s leather jacket featured her married name hand-lettered by Kimberly George Art with the date of her wedding and her vow renewal date in Roman Numerals.